Late last weekend, semi-pro photographer Timothy Joseph Elzinga woke up in the early hours of the morning to attend to his crying two-year-old son. When he looked out the window, he was greeted with a rare and spectacular sight known as light pillars. Smartly, he picked up his camera and captured some of the most incredible images of this natural phenomenon we’ve ever seen. 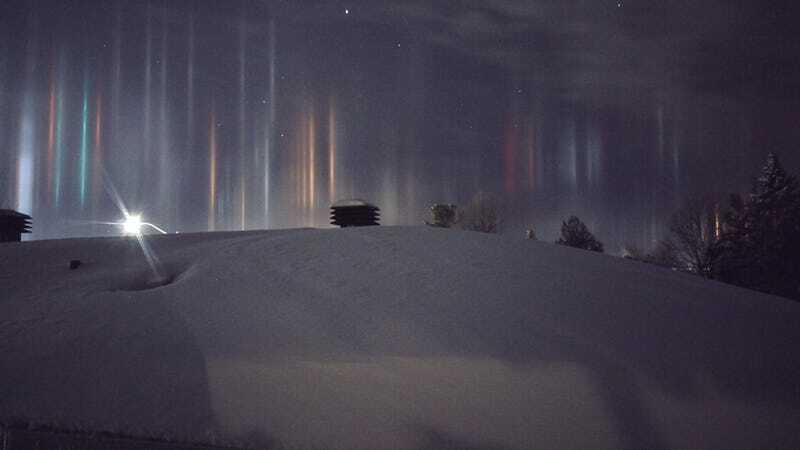 These vertical beams of multi-coloured light looks like auroras, but they appear when either natural or artificial light bounces off ice crystals floating close to the ground. Elzinga ran outside to see if he could snap some more images, and even went for a drive. 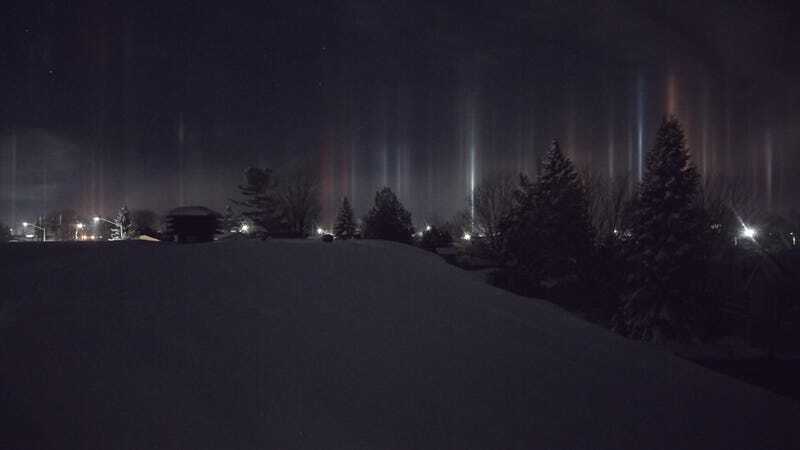 But the light pillars seemed to look best from his original vantage point, as a large forested hill behind his house provides protection from light pollution. At the time, he wasn’t aware of what he was looking at, and only discovered the name of the phenomenon after doing a bit of homework. “It was almost supernatural and although the images are pretty amazing I’d say it was even cooler in real life,” said Elzinga.